Down south we have a lot of great ways of saying things so that people know exactly what we mean. One of my personal favorites is “never you mind” meaning I’ll take care of it. One of the things I love most about one of our products is when I tell my customers “never you mind”, I don’t even need to do the work. The product is designed to do all the work. Lighting Control Automation, otherwise known as LCA is the process of putting your outdoor lights on an easy and worry free timing system. 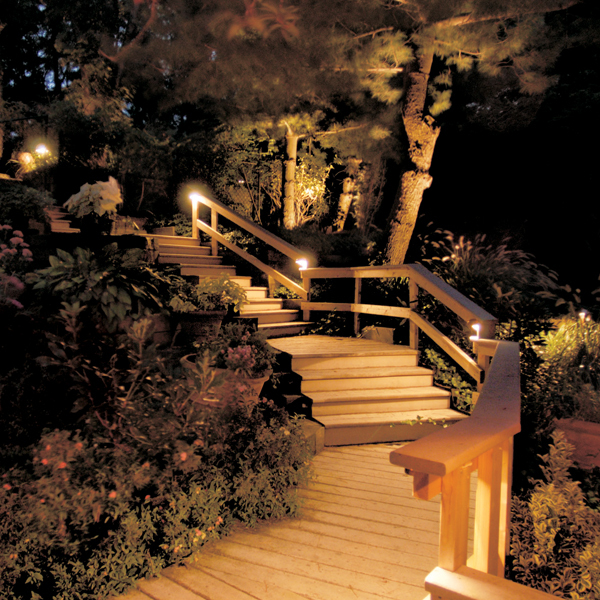 The lights cut on and off at specified times so you don’t need to think about your outdoor lights at all. LCA is a complicated technology that is engineered to be very simple for you. It is set up to be used with your existing 110V electrical wiring. The components include a timer and a module that plugs into the transformer.Really, you don’t even need to know about the module or the transformer. We take care of all of that. But, the small timer plugs into an outlet in your house. The timer sends a signal to the module, which tells the module what to do. Once this is programmed by Outdoor Lighting Perspectives installers there is nothing you have to do. This program is used to turn the lights on at sunset and off at sunrise. 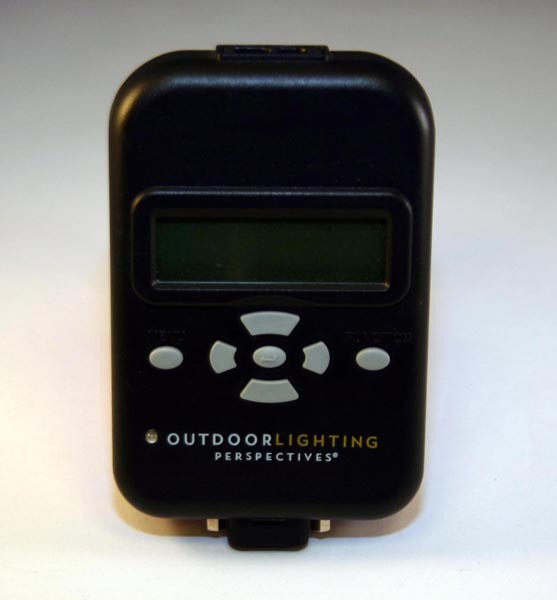 The timer knows longitude and latitude so it automatically knows what time the sun is rising and setting. The timer adjusts for both bi-annual time changes and incredibly adjusts for leap year whenever it rolls around. Depending on your preference the LCA can even be programmed to have the lights come on at dusk at 50% and have them switch to 100% after sunset. This not only creates a stunning effect, it also utilizes less power. The LCA timer is set to do everything for you. It is a no worry, no hassle “never you mind” system. Even though LCA is designed to spoil you, you can still manually turn the lighting on and off from the convenience of inside your home. For example, if your are not using the lights one evening for energy efficiency and you hear the neighbors dogs causing a ruckus, you can cut all the outdoor lights on with a simple press of a button and let whoever is causing the ruckus know you’re at home and not to bother your house. LCA really is a wonderful program all the way around. You have the convenience of not thinking about it and it always performing and being there, and the convenience of taking control easily, right at your fingertips. So sit back and relax, and we’ll take care of the rest. This entry was posted in Lighting Control Automation and tagged Lighting Automation, Lighting Control Automation, Nashville energy efficient lighting, Nashville lighting automation by John Groce. Bookmark the permalink.